PMLNK | Project management, leadership and IT in Lincoln, NE. Companies use relationships to find talent. Companies must encourage employees ( and in particular, executives) to get involved outside of the office in racially diverse arenas (e.g., mentoring, internships, Junior Achievement). Go and be where people don’t look like you. Define specific, measurable steps the company will take to encourage racial (and gender) diversity? Without targets, managers commitment will be squishy. Don’t allow job stereotypes to influence hiring decisions. For example, not all entry level developers are young, scruffy hipsters. And not all sales reps are cute young women. Sponsor people of color in your company. Be their advocate and seek promotion of and for them. In order to feel included and comfortable, people need to be around others who look like them and have shared experiences. Commit to hiring more than just one person of color to build a critical mass which encourages others of similar faith, race or background to join the team too. Executive must be diverse too. Having a person of color in the board room makes it much easier to hire employees of color who will feel comfortable and respected within the company. Business Insider posted a thoughtful take on the much publicized problems with the Apple Watch 3 launch. I’ve been excited about a new Apple Watch, especially the added LTE capabilities, although I can’t really say why. It’s certainly not because I want to take calls via the Watch. The article points out my dilemma perfectly by talking about why adding LTE doesn’t really shift the job people use an Apple Watch for. It’s a great point. 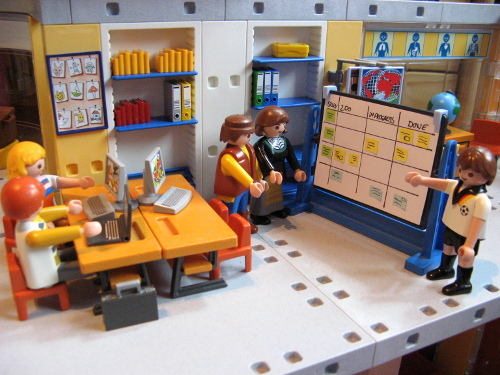 As an agile practitioner, I’ve become more enamored with the “Jobs to be Done” methodology. What job is your current project or product being “hired” to do? 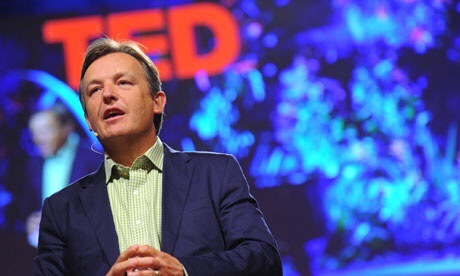 Came across this video today where TED Curator, Chris Anderson, shares the secret to forming and spreading great ideas. Whether you hope to speak at TED someday or not, take eight minutes to watch the video and then spend a little more time thinking about how you present and talk about the ideas that are important to you. What Is a “Stand-up” and Why Do We Do It? I can’t count the number of times I’ve had to explain what a “stand-up” meeting is. I usually handle this question off-the-cuff, explaining that the meeting is daily, time-boxed (time-limited) to 15 minutes and usually includes each team member answering the Three Questions. Today we had a high school senior job shadowing several of the IT folks and I was tasked with showing him the stand-up meeting used by many of our development teams. I wanted him to have a take-away from the meeting to help him remember the “what” and “why” of our stand-ups, so I turned to the Internet. I came across this fantastic definition of the stand-up meeting (or “Daily Meeting” as they refer to it) from the Agile Alliance. LINK: Word of the day / Rosh gadol: What sort of head do you have? In this article, Shoshana Kordova does a great job of explaining the Hebrew terms rosh gadol (“big head”) vs. rosh katan (“small head”). While telling someone that they have a big head may be career limiting in English speaking circles, telling them they are rosh gadol is paying them a high compliment. Rosh gadol describes the ability to see the big picture as opposed to focusing on the small tasks. Hit up the article for a helpful discussion of the difference in these two types of people and why organizations have (and need) both. Years ago a great post on the Joel on Software blog discussed how developers would ideally be rosh gadol. In reality, your team will consist of both rosh gadol and rosh katan resources. As a project manager or technical lead, identifying which type of thinker each team member is can help you guide them towards tasks they’ll be more comfortable and efficient with. It might also help you manage your expectations when dealing with these two types of individuals. Union College Division of Business hosted a great conference today called Leaders Building Leaders Conference during the college’s alumni weekend. I was fortunate to present an Agile form Managers topic during the conference. I’ve attached my slides here and will try to get some notes from other sessions I’ve attended posted here shortly. Agile Intro – Managers slides. I’ve been an Apple fanboy since my days using an Apple ][+ back in 1981. Apple has always been about design, but with Steve Jobs return in 1997 and the rise of Jony Ive, the focus on good design reached an entirely new level. I’m fascinated by how Apple makes this work. In many projects I’ve worked on, good design is seen as a luxury to be considered “if there’s time at the end of the project.” Hint: there’s never time at the end of the project. I think good design is part of the technical excellence that must be the foundation of all projects in order for them to be flexible, sustainable and maintainable. For a glimpse into who Jony Ive is and how he’s changed Apple and industrial design, check out the interview.